Hello people! Today, a little warmer variant for you. As I promised I take few pictures of piece from my wishlist from Romwe site, so this promise is fulfilled. 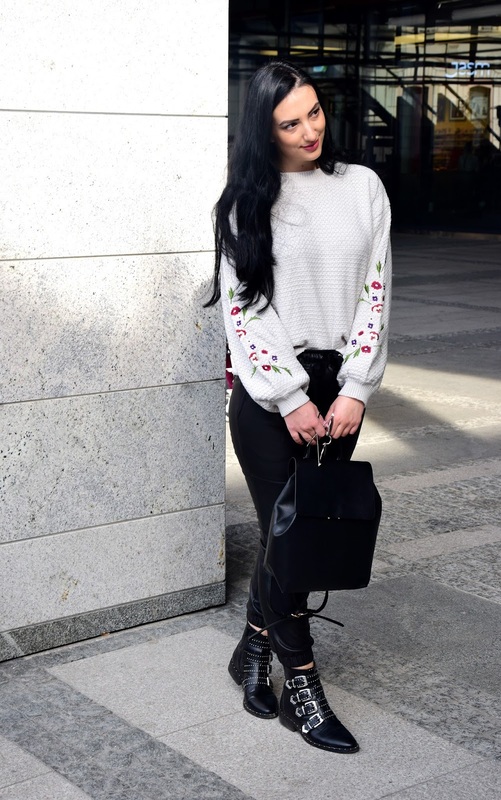 :) It's a great looking sweater with a floral print. Who follows my Instagram and the blog knows how much I like the floral print. I think that such a sweater is always a hit. As I said, because of the color that makes it universal, you can combine it very well and wear it during the cold winter and even in the autumn. These sleeves are very popular this season which additionally makes your outfit look trendy. 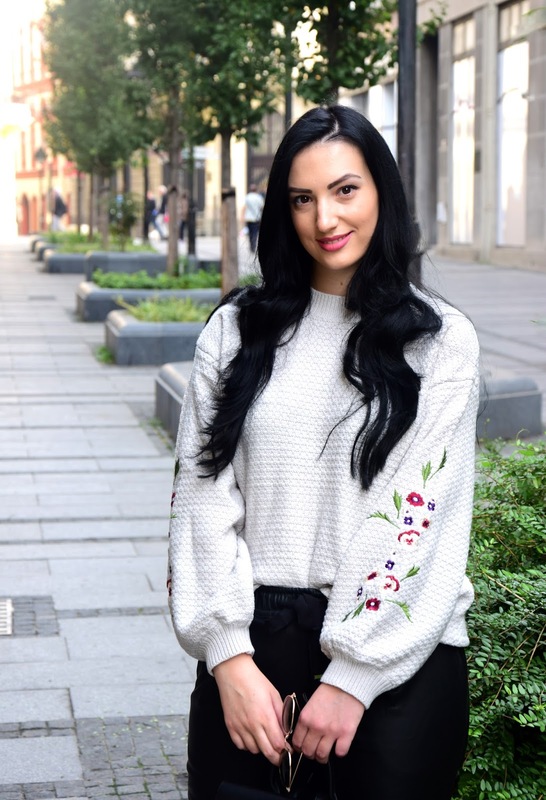 In general, I consider that oversize sweaters are very trendy and interesting to wear. If you do not have inspiration for a particular day, you can wear them with tight jeans or this with pants like me, also with a tight leather skirt. If you did not have the chance to order from this site, my experience is positive for now. I am satisfied with the quality and you can expect a lot of outfits with this piece. :) I'll leave you a link! I hope you like this post, write me a comment!